Last week, the Archives and Collections said goodbye to two amazing volunteers with enviable IT skills. 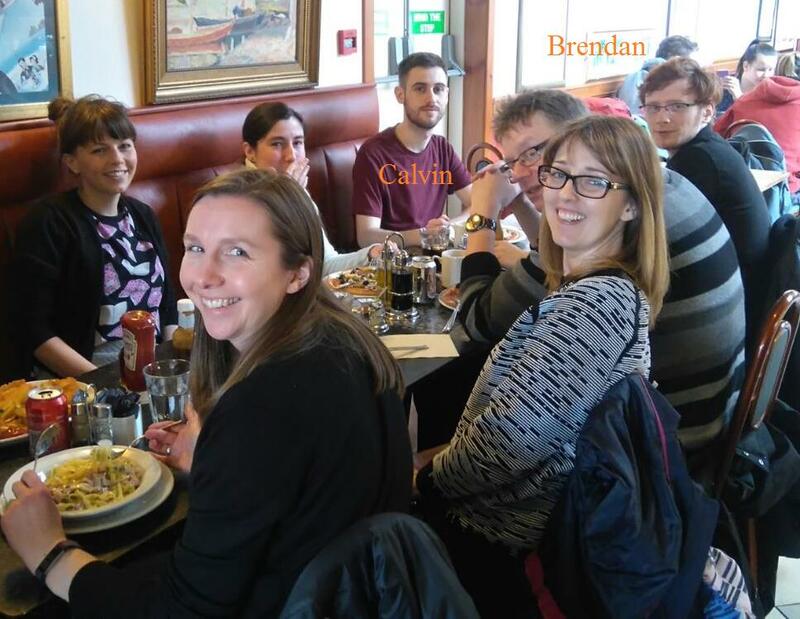 Calvin Park and Brendan Armstrong from University of the West of Scotland took time out of their busy student lives to undertake an eight week placement with us to improve the future of our online catalogue. They share their experiences below. Hello! We are Calvin and Brendan, Business Technology students from UWS in Paisley and are here at GSA Archives & Collections on a work placement to help improve their archival database. Here is a photo of us with the team at GSA on a trip to Diageo Archives, we are at the back! Click the above image to see where the magic happens! When you click go, the website is updated with all these new values. As you can imagine, we were pretty anxious about pressing go the first time in case we broke it but thankfully our work paid off. 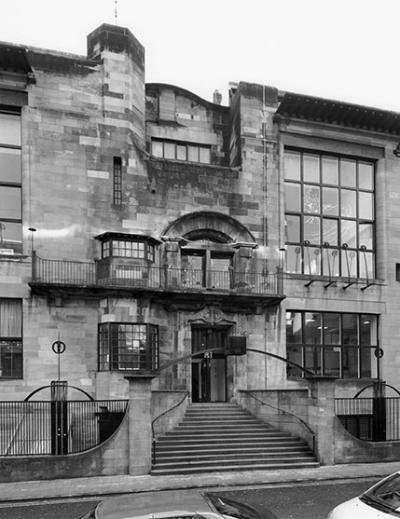 On the second week of our placement we went to the Reid building for a tour to learn about Charles Rennie Mackintosh’s life and to view the Mackintosh Furniture Gallery, filled with some of his finest work. The master clock was one which grabbed our attention the most as it was fascinating because it controlled several of the clock in the Mackintosh building, this was truly ahead of its time, as was Mackintosh himself with his quirky and authentic designs. 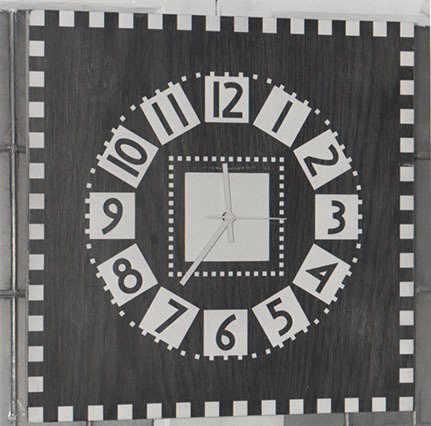 You can find out more information about the Mackintosh clocks in another Archives and Collections blog post here. 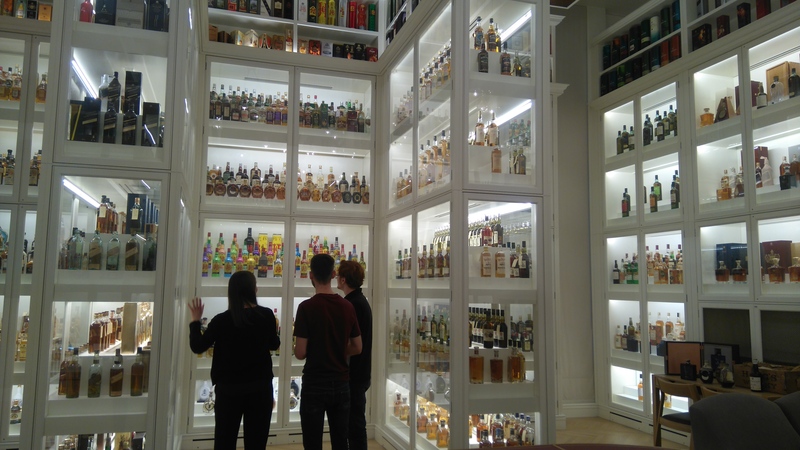 We were also invited to Diageo distillery archives where we had a look at the huge collection of whisky, rum, gin and vodka that are hundreds of years old. Their display was amazing to look at, as you can see in the picture of us beside one section of the cabinets. The team at GSA noticed how much we enjoyed this and gave us a free tasting tour round Glengoyne Distillery for a leaving gift which was much appreciated and very thoughtful of them. We have enjoyed our time here at GSA archives and the experience we have gained has been greatly beneficial to our studies.